Welcome - Southern Craft Manufacturing, Inc.
We are dedicated to creating the finest quality and greatest value products in the industry. 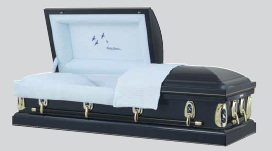 Almost every casket style is available in any option you choose. Select the options and we will build it. Incorporated in April 1994, Southern Craft Manufacturing Inc. is located in Loretto, Tennessee.